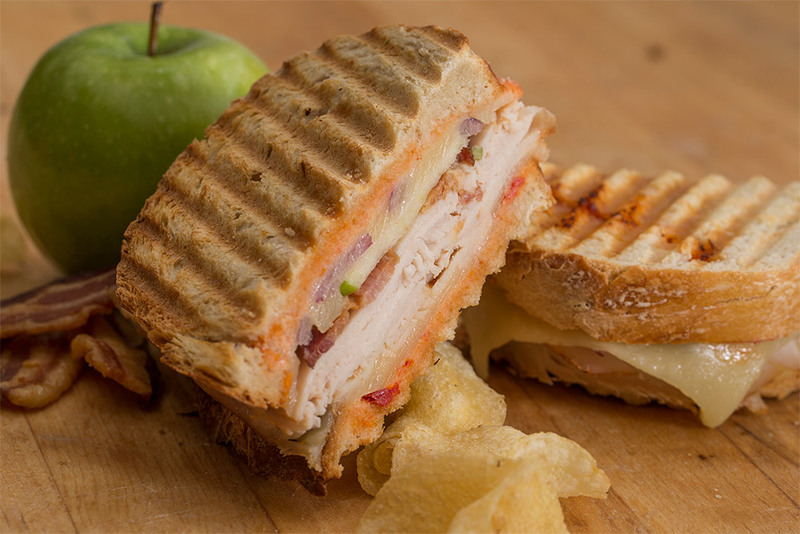 Oven-roasted turkey breast, crispy baked Cherry Hardwood Smoked Bacon, red onions, Granny Smith apples, naturally aged white Wisconsin cheddar, sun-dried tomato mayo grilled to perfection on our freshly baked potato bread. A vegetarian delight! 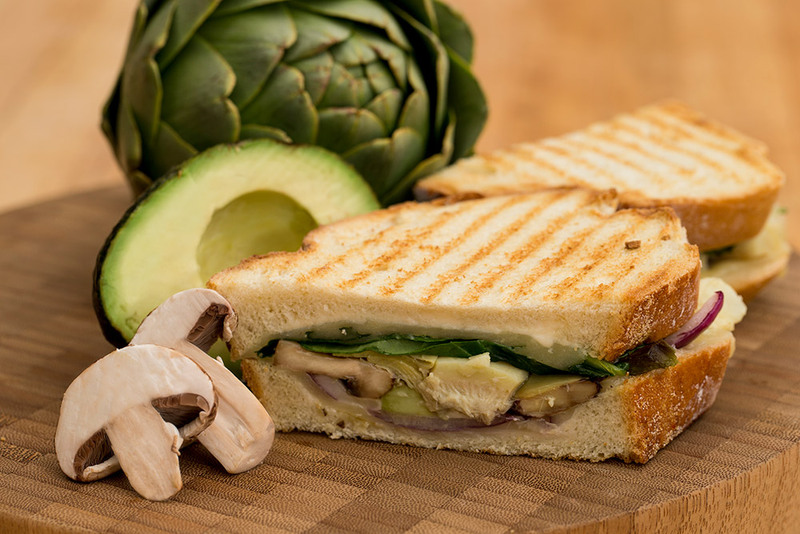 Baby spinach, avocado, artichoke hearts, red onions and baked baby bella mushrooms with a touch of balsamic vinaigrette and garlic mayo, all melted together with naturally aged Wisconsin cheddar on Dinkel’s original Potato bread. 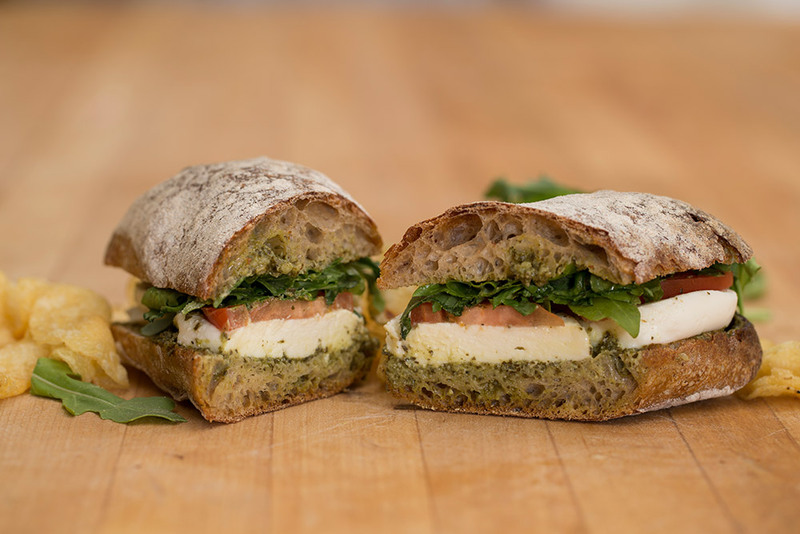 Fresh mozzarella, fresh Roma tomatoes, baby arugula, balsamic vinaigrette and all natural pesto served on our signature Wurzelbrot bread. 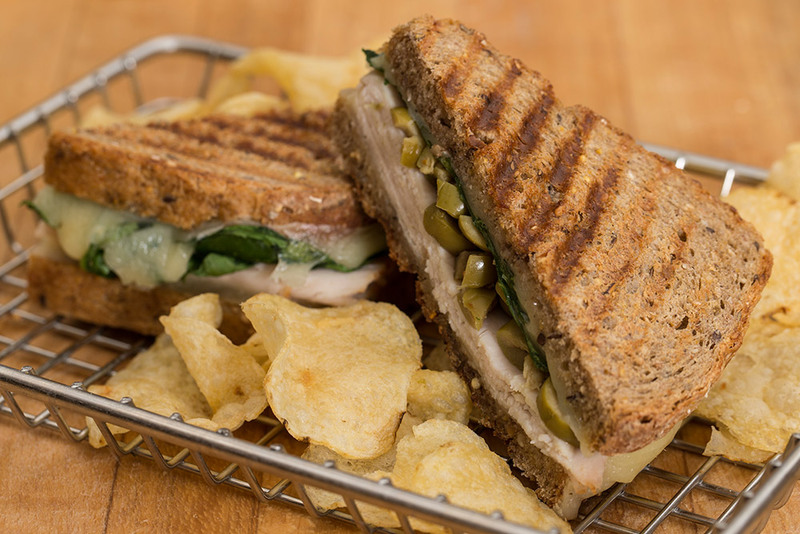 Oven-roasted turkey breast and naturally aged white Wisconsin cheddar combined with green olives, baby spinach and balsamic vinaigrette all on our hearty Six Grain bread. 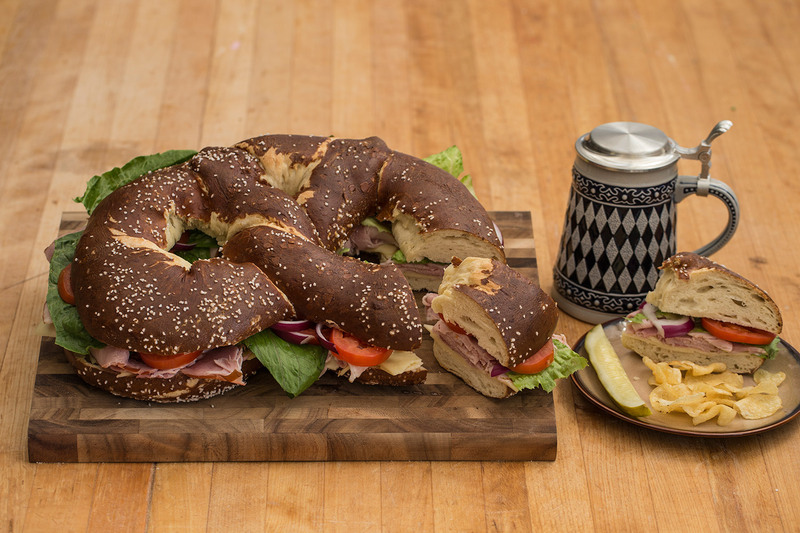 Paulina Meat Market Ham, Swiss cheese and Dusseldorf mustard on our famous Bavarian Pretzel Twist topped off with lettuce, Roma tomato and red onion. 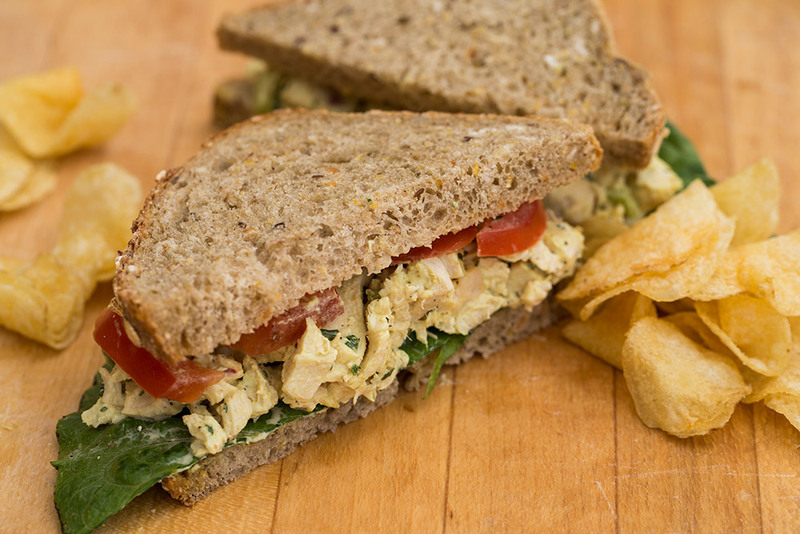 Chicken, cranberries, celery, mayo, leaf lettuce, tomatoes, served on Dinkel's 6 grain bread. 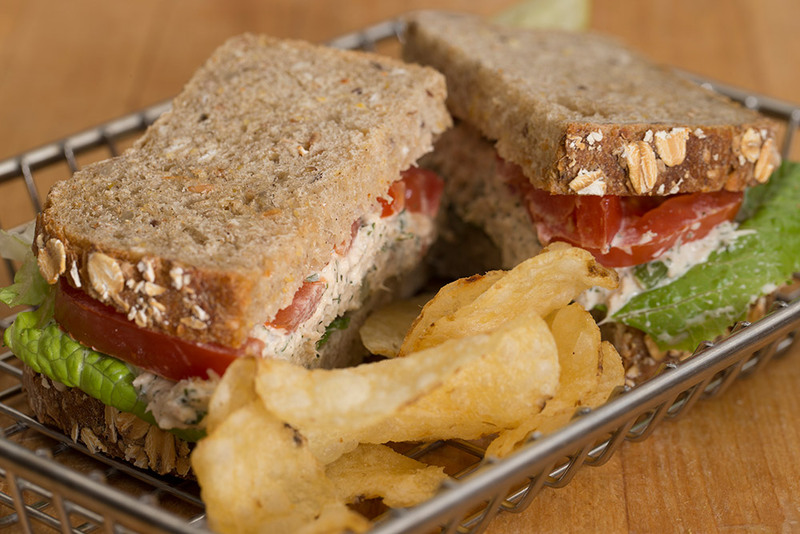 Dinkel's fresh tuna salad, lettuce and Roma tomatoes all served on Dinkel’s Honey Whole Wheat bread. 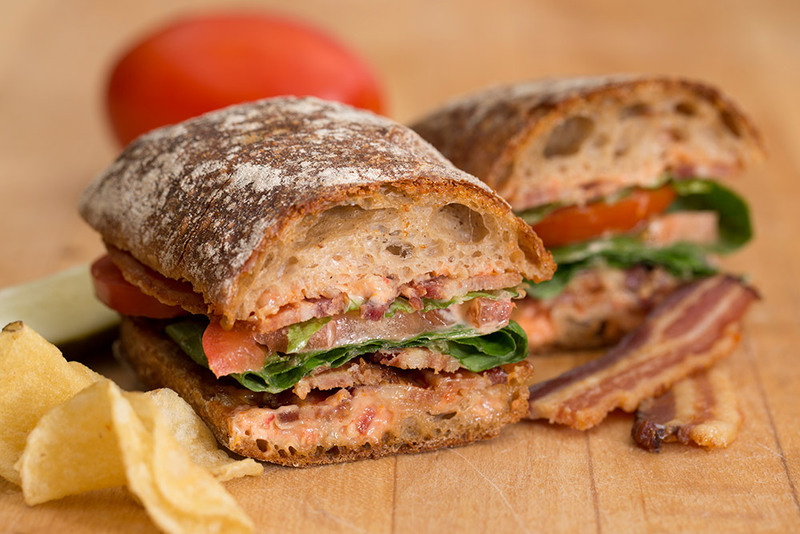 Crispy baked Cherry Hardwood Smoked Bacon, lettuce, Roma tomatoes and sun-dried tomato mayo all grilled to perfection on Dinkel’s signature Wurzelbrot bread. 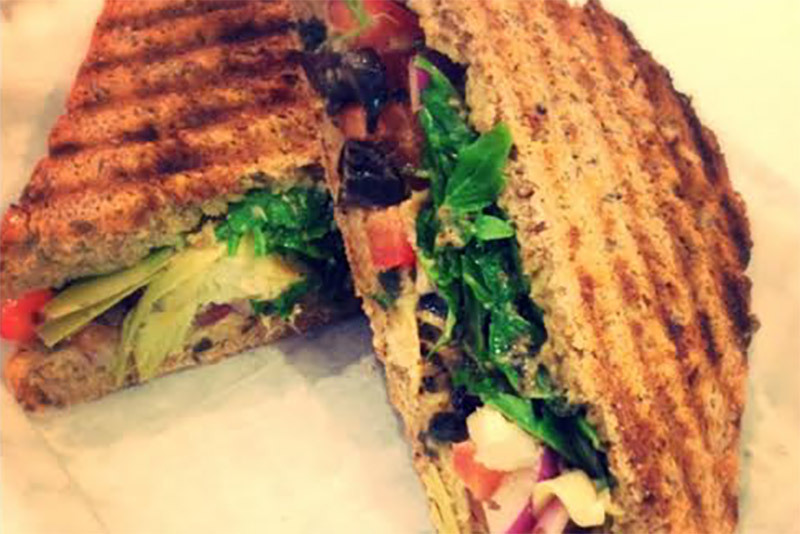 Spinach Artichoke Hummus, tomatoes, mushrooms, onions, arugula and artichokes with a balsamic vinaigrette on Six Grain Bread. 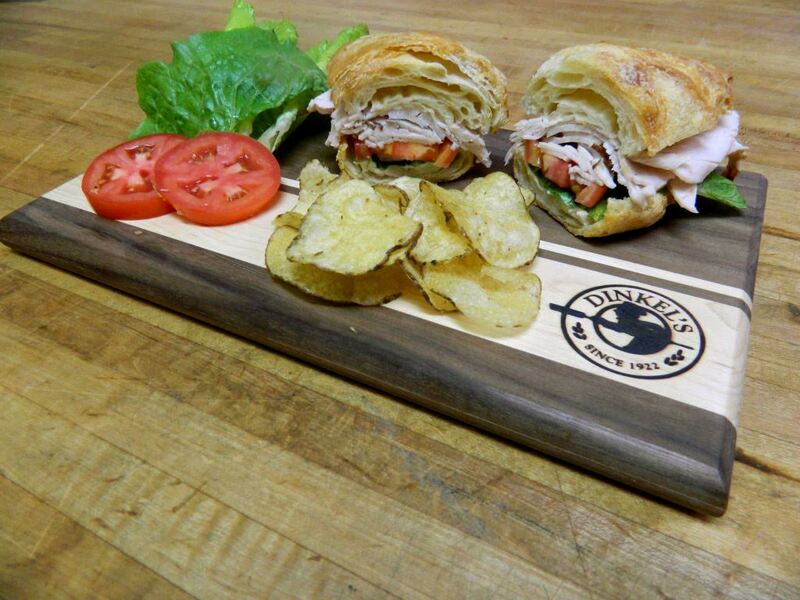 Oven Roasted turkey breast, naturally aged white Wisconsin cheddar, lettuce, Roma tomatoes and red onions topped off with Garlic mayo served on a freshly baked croissant. 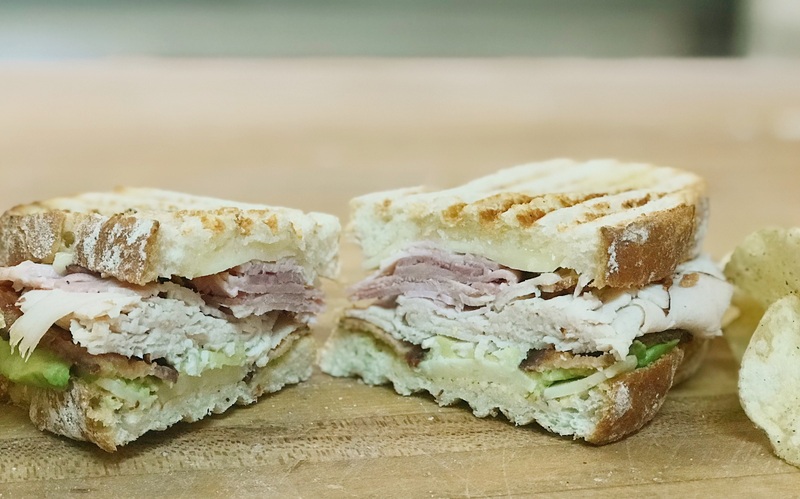 Oven-roasted turkey breast, Paulina Meat Market ham, Cherry Hardwood smoked bacon, sharp white cheddar, avocado, with dijon mustard and garlic mayo on toasted potato bread. Feeds 15-20 people. Add 10 bags of Chips for $5 extra. Needs Two Days Notice. Call For Details. Kid’s Sandwiches come with a choice of applesauce, banana or apple. *Above Sandwiches are served with chips and a pickle. 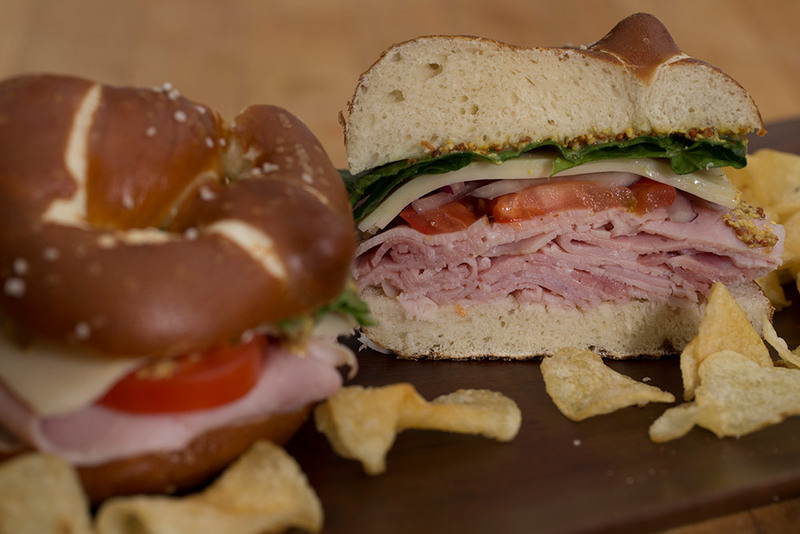 **All Turkey and Chicken used in our sandwiches is Hormone and Antibiotic free.